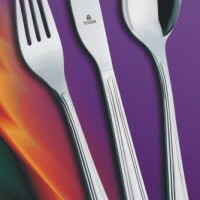 Cutlery Toner constitute our offer in cutlery. We pride ourselves on ensuring that our products meet the particular demands on quality. In our opinion, cutlery Toner right combination of superior quality and reasonable prices. 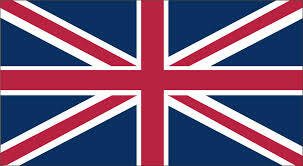 For the manufacture of cutlery Toner are two types of steel. 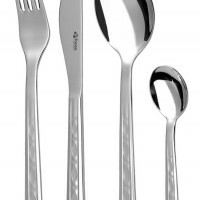 The first type is a high quality stainless steel with chromium and 18% nickel and 10%, CSN 17,241th This stainless steel is used for the highest quality cutlery. 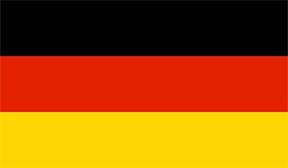 It is characterized by a nonmagnetic and high gloss. 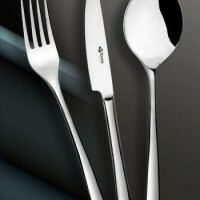 The second type is a high-quality chrome steel with a chromium content of 18%, CSB 17,041th Cutlery of this material are characterized by high hardness and called. Steel shine. Manufacture of cutlery Toner begins by cutting the basic shape of the production. 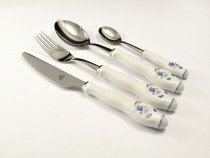 The manufacturing process silverware continues lisařskými activities that separates the different models of cutlery. Then follow manufacturing operations cutlery rolling, forming, grinding, brushing, polishing and cleaning. Production tools for making cutlery firm Toner manufactured in our own tool-making workshop. 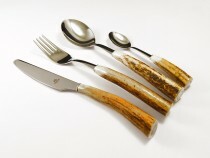 Toner Cutlery made of antlers Hubert 6074 24pcs. 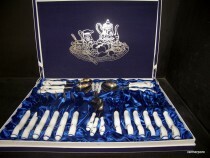 Toner Cutlery Bernadotte ivory 24 pieces. 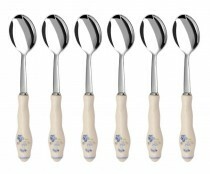 Toner Bernadotte coffee porcelain spoons, decorative 6 pcs. Toner CUTLERY OCTAGON 6035 24pcs. 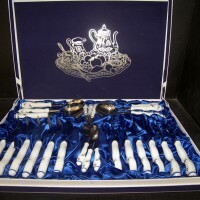 Toner CUTLERY BLUE ONION ORIGINAL 24pcs. 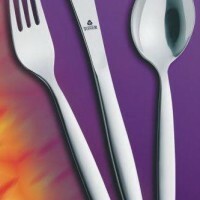 Toner CUTLERY BOLZANO 6046 24 pcs. 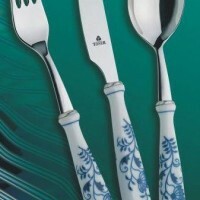 Toner CUTLERY BLUE ONION 6026 24pcs. Toner CUTLERY RUSTIKAL 6025 24pcs. Toner CUTLERY MELODIE 6037 24pcs. 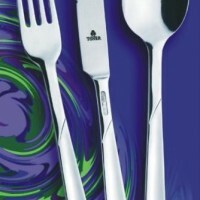 Toner CUTLERY PROGRES NOVA 24pcs. 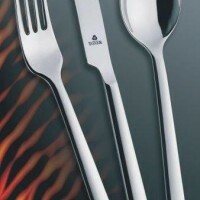 Toner CUTLERY KORÁL 6038 24pcs. Toner CUTLERY COMTES 6039 24pcs. Toner CUTLERY CLASSIC 6006 24pcs. 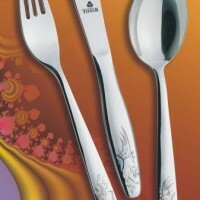 Toner CUTLERY BOHEMIA 6085 24pcs. Toner CUTLERY KORINT 6054 24pcs. Toner CUTLERY VARENA 6053 24pcs. 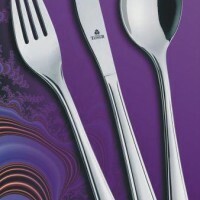 Toner CUTLERY AMOR 6052 24pcs. Toner CUTLERY LAMBADA 6051 24pcs. Toner CUTLERY POPULAR 6050 24pcs. Toner CUTLERY AKCENT 6042 24pcs. Toner CUTLERY COUNTRY 6041 24pcs.